So good Alexa Chung has given it her handwritten stamp of approval – signed, sealed, delivered. Created in London. Made in China. Have played with severalll liquid eyeliners for the past 15 years of my life, never really to find one that I was quite satisfied with, UNTIL one day I received this lil gem as a sample in an Ipsy glam bag and it completely changed my life/liner game. I had convinced myself the last few months that I prefer pencil or using shadow to line with but I can tell you that after being introduced to Eyeko I am hooked on how easily and beautifully their liner perfects my eyes and how blown away at the difference everyone around me seems to think it makes for my look. . . To even the most inexperienced hands, this liner is a breeze to put on! 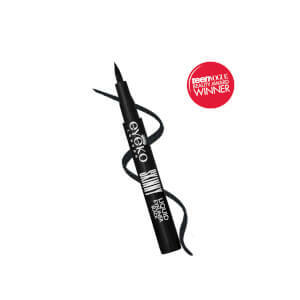 Thank you Eyeko, "Eye [officialy] do eyeliner"!!! 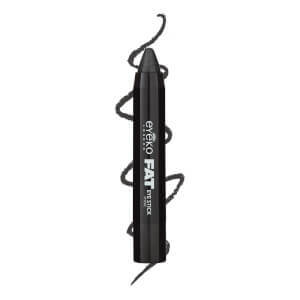 This eyeliner is the BOMB-DIGGITYI! 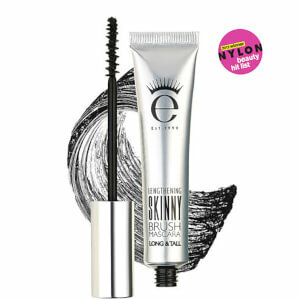 Lasts all day, you'll get the puurrrfect flick with this, or just a little line on the top of the eyelid. I love this so much.